Meathead Movers is here to take care of the heavy lifting for you on your move to Los Banos. Our clean-cut student athlete movers are ready to get you safely settled into your new home. If you are moving to or from anywhere in Los Banos, we are the moving company for you! Our professionally trained student-athlete movers and our moving concierge service are here to help you with every stage of your move. Located in the San Joaquin Valley and Merced County, Los Banos is a small and scenic town in Central California. The city sits on the edge of an expansive national and state game refuge, which nature lovers will love. The nearby wetlands attract hunters, bird watchers, and other outdoor enthusiasts to the area year round. With the area’s Mediterranean climate, there will be plenty of opportunities throughout the year to get out and explore! 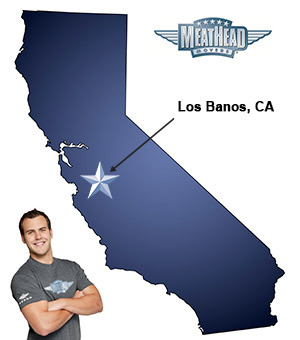 If you are considering a move to Los Banos, Meathead Movers is here to help. Our moving company specializes in local, long-distance, and commercial moves. We also provide reliable packing, storage, on-site relocations, and our distinctive moving concierge service, which connects you with local service providers to help make the transition to a new town as seamless as possible. All our student-athlete movers are thoroughly screened and trained before their first move. With branches all throughout the state, we are a one-stop resource for all your moving needs, no matter where your California move takes you. Moving to Los Banos? Here are some helpful resources. View more Los Banos resources. They did a good job but I don't like to do surveys. I don't have the time. I already filled out a survey when the job was completed. Your. Original. Quote. Was. No. More. Than. 700.00. But. When. You. Got. There. This. Morning. It. Was. 1,400.00. That. Is. Crazy. Then. You. Charged. 620.00. Just. To. Load it. And. Literally. Take. It. Around. The. Corner. And. Store. Nice gentlemen...all of them. It was a grand experience. So happy I could help college kids...meant a lot to me! on time very professional polite helpfull no BS. Very professional and friendly, arrived on time and loading and unloading of boxes was done in a very timely manner. We will definitely recommend this company to others! The movers were very helpful and professional -worked hard and efficiently. However, we ordered 2 trucks to load in Los Banos as early as possible in the morning ... one arrived @ 10:30 am with 4 young men to load. The second truck didn't arrive till late in the afternoon. I specifically asked for the trucks 'the earliest possible' because we (husband and I) still had to drive to Pasadena following the trucks being loaded (4.5 hours). When we were able to leave (an hour or so after they left) we drove just 1 hour and had to spend the night in a hotel because we were too tired to continue on. The next day in Pasadena: the 2 young men who drove the trucks to Pasadena arrived around 11:30 a.m. and unloaded the trucks. Since there were only 2 of them it took all day and they left around 6 pm. We were very surprised that there weren't more movers involved and that it took an entire day. My husband even pitched in to unload some things by the end of the day just to get it done. The workers were all excellent but the timing and number of them was not managed well.